With the development of national science and technology, each industry automation is getting higher and higher, as an important industry of light industry, textile industry has entered the field of automation. The traditional cotton tires are made of carding machine out of the cotton wool wrapped around the wood roller, wood roller and cotton roller synchronous rotation, to achieve "Melaleuca cotton" production; but this approach has limitations, can not accurately control the cotton The size and weight of the tire, only by the experience of the operation, the error taught, the size is not control. 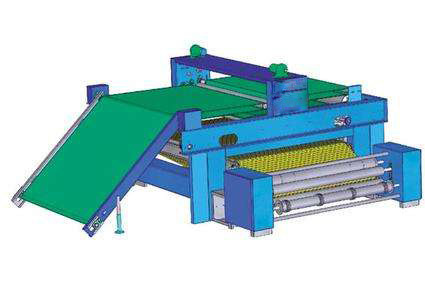 With the application of the laying machine, to fill the shortcomings of these production, can easily adjust the size of cotton tires, including width, length, more precise weight control.